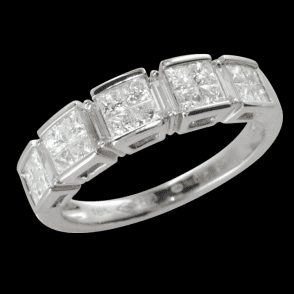 This skilfully made ring has a mosaic of fine cut diamonds pieced together to create the look of one very large diamond. 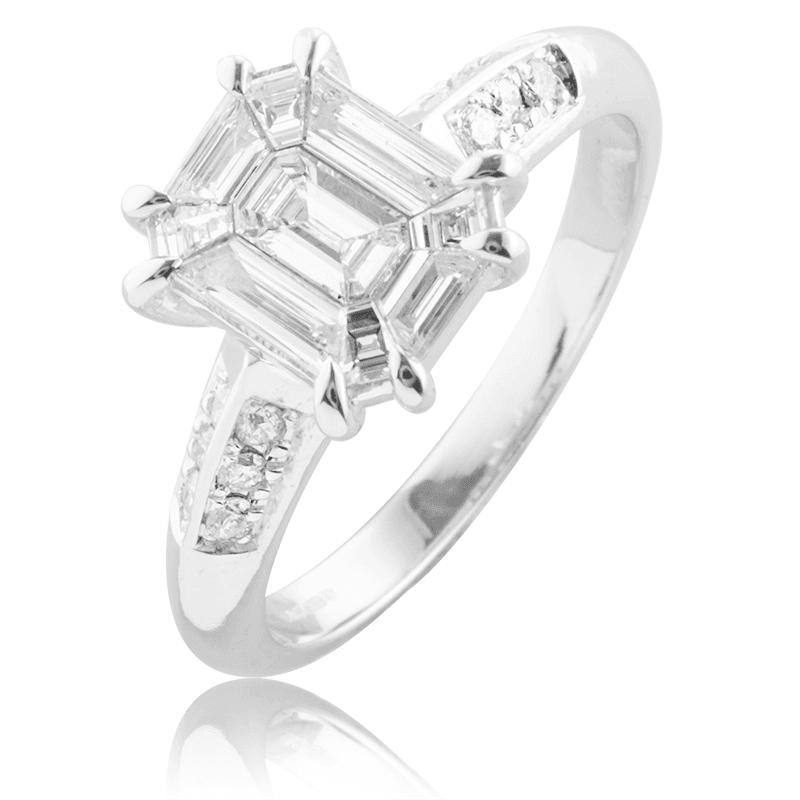 What looks like one hexagonally cut flawless diamond at the centre, which if it were one solid diamond, it would be worth many 10?s of thousands of pounds is actually made from 9 individual specially cut and specially set diamonds which give the show of a large single diamond. 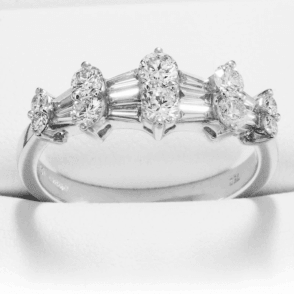 Then each shoulder also has 6 (12 in total) brilliant cut round diamonds for the finishing flourish. 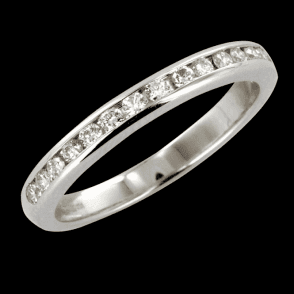 Set in 18ct white gold, this ?show? 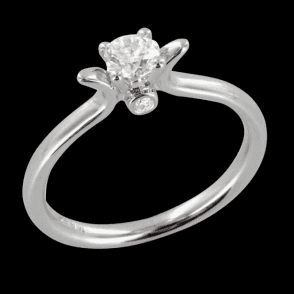 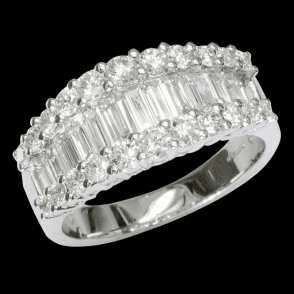 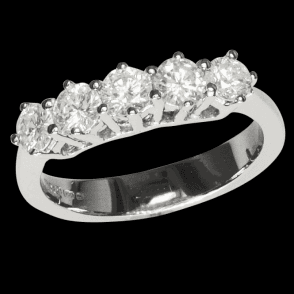 ring has 21 diamonds total weight 1ct, Crown width 10mm.